It's official. Home cooked Indian equals free babysitting volunteers. 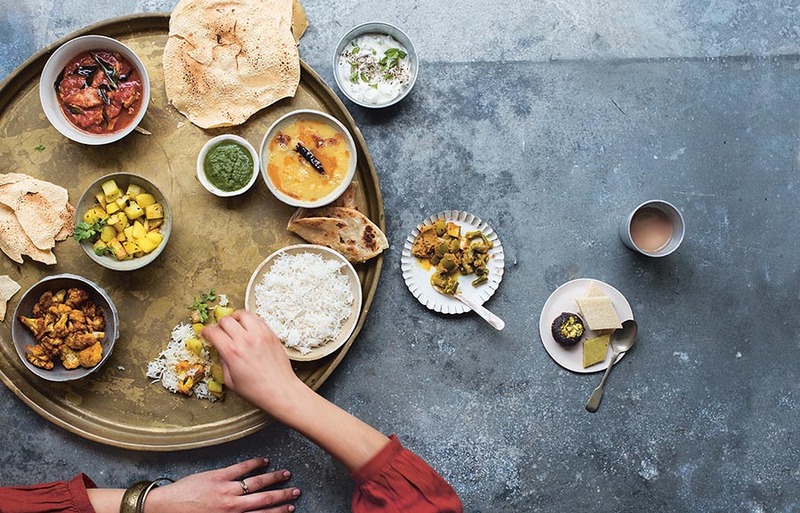 Front row London Fashion Week: Curry. Birthday party in neighbourhood local: Curry. When sis offered her services for an old friend's shock wedding I knew I had to pull the stops out. I made for the farmer's market. Followed by lunch in a Polish caf with mini Basu, the man, his crazy younger bro and friends.Â Then made a pit stop into a boutique to buy an entire outfit for the evening. While mini Basu slobbered on the season's latest polyester offerings. The bro offered unsolicited fashion advice and the man faked a fainting spell. Luckily, the recipe wasn't going to finish me off altogether. Durga Puja, the annual Bengali religious calendar event was on. 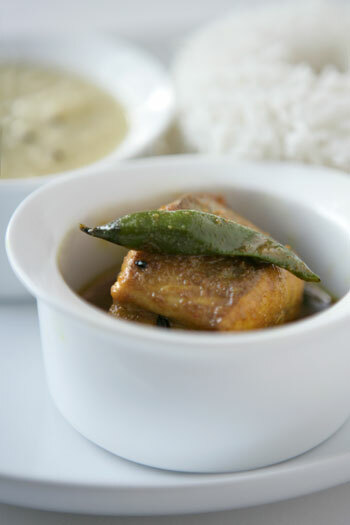 The dish was going to an old family favourite - Maacher Jhol - the famous Bengali fish curry. Aromatic and light, it didn't render me fishy. Sis said it made her teary - with happiness. Bro declared it was the best fish he had ever tasted. Both offered endless nights of babysitting. It pays to cook Indian. Quite. Slice the fish into one inch thick slices and rub in half a teaspoon of salt and half the turmeric. Bring the oil to heat on high in a large frying pan and fry the fish slices for a minute on either side to seal. Remove them with a slotted spoon and chuck in the bay leaf and panch phoron. As they sizzle up, mix the spice powders into a mug of hot water and pour into the pan. Let this bubble up and then cook on a medium heat for 10 minutes. Next, gently lower the fish pieces into the curry. Slit the green chillies and add them along with salt to your taste. Cover for about five minutes until the fish is cooked through. Serve with hot steamed rice or an easy dal like I did for simple pleasure. Spot On Mallika. That is one delicious fish curry and if it brings all the babysitting services that seems a ‘just’ price. am a bong…but somehow just can’t get the perfect fish curry. 🙁 this should do the trick. on a completely different note, how is it getting back to work? ha!..thats very nice..and needless to say the dish looks delish!.. You are so funny! Way to go! That sounds yum :). Never came across this rock fish, does it taste like rohu? I hope you had a good Durga Puja season. Ekhono somoy achhey . Shubho Bijoya Namesake ! it looks nice but have to taste before making a comment. Glad you’ve got a hoard of helpers, lucky girl! This sounds delicious. I like the idea of sealing the fish. And three cheers for farmers’ markets! we want mallika BACK already! looks like i am back home and having my favourite maacher curry prepared by my mom. nice and interesting recipe.. thanks for sharing!